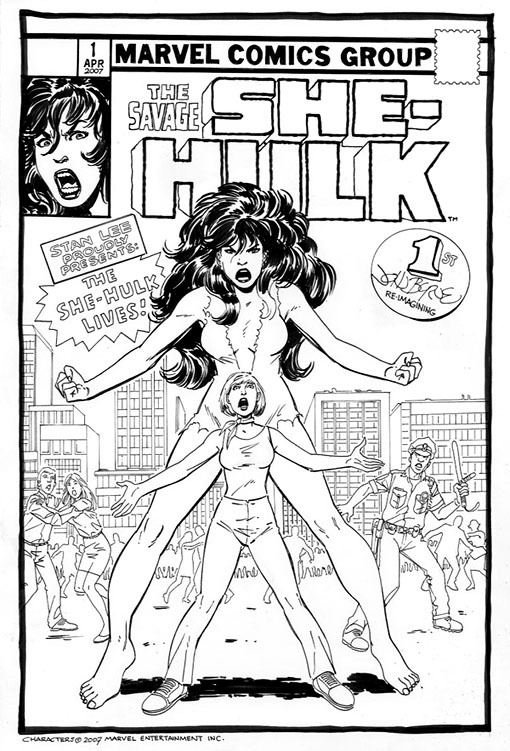 The classic cover to She-Hulk #1 has inspired a number of recreations and reimaginings over the years. Among my favorites is the reimaging done by John Byrne in 2007 for David Henriot. Another fun homage is the Josh Bayer’s zombified (?) 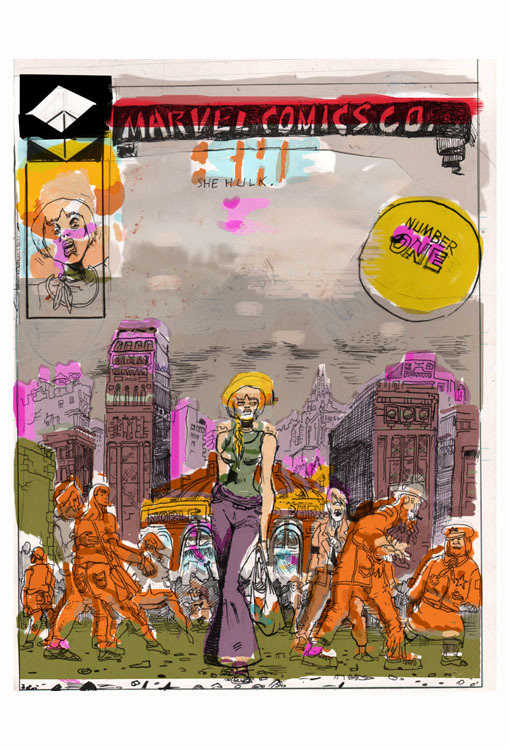 Jen Walters that was featured on the Covered Blog, which is recommended reading for any comic fan. 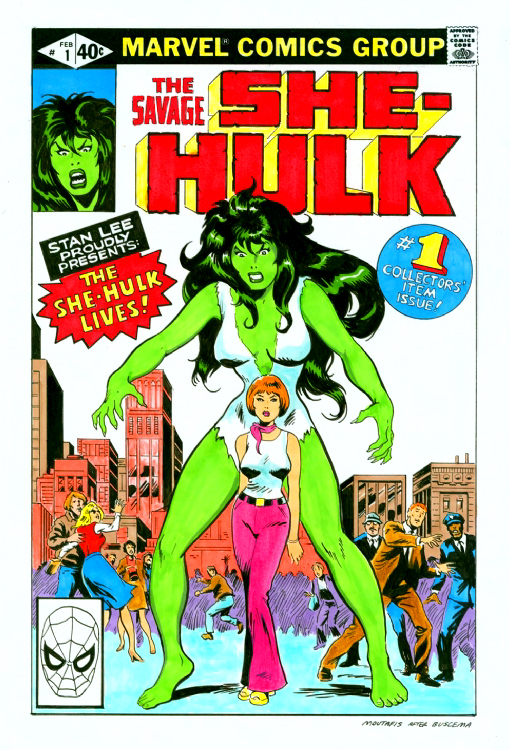 Finally, Greg Moutafis did a great job with a straight recreation of both the line art and the color.Click on any of the images below to see larger versions of the covers.